The Dow Jones Industrial Average opened slightly lower this morning as investors continue to monitor trade developments between the United States and China. Representatives from the world's two largest economies kicked off another round of high-level talks Thursday. U.S. President Donald Trump is hoping that China's vice premier and special envoy, Liu He, can reach a framework with a U.S. team that includes Treasury Secretary Steven Mnuchin. Earnings season will continue Friday. But the big buzz is coming from Kraft Heinz Co. (NYSE: KHC), which reported after the bell yesterday. Shares plunged more than 24% after a dismal earnings report, weak forward guidance, and news that the firm was slashing its once reliable dividend. The firm wrote down the value of its Kraft and Oscar Meyer brands by $15 billion, slashed its dividend by 36%, and reported a whopping $12.6 billion loss. Wall Street also did not like the news that the SEC issued a subpoena in October 2018 to investigate the company's accounting practices. Finally, U.S. oil prices are fighting back this morning after U.S. government data showed a large uptick in domestic supplies. The U.S. market continues to face a glut of oil due to limited pipeline and refining capacity. 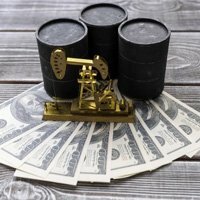 However, the outlook for oil looks better thanks to OPEC cuts, sanctions on Iranian and Venezuelan producers, and Saudi Arabia's decision to reduce shipments to Asian nations. Further progress in trade talks between the United States and China would also offer added support to crude prices. According to reports, Pinterest has filed for its IPO. The tech startup is seeking a valuation of $12 billion. Pinterest joins one of the strongest rosters of IPOs in years. Pinterest and a few other firms were delayed in filings due to the government shutdown. If you are looking to make money on Pinterest before it goes public, we've identified a secret play that can make you a lot of money. Here's what you need to know. Shares of Dropbox Inc. (NYSE: DBX) plunged more than 10% after the company's forward guidance fell well short of Wall Street expectations Thursday. Even though the firm topped quarterly earnings and revenue expectations, the cloud storage giant announced it would take a large write down on the value of its recent HelloSign acquisition. That will impact company margins in the year ahead, in addition to the firm's plans to relocate offices to San Francisco, where rents are much higher. Apple Inc. (NASDAQ: AAPL) continues to remain in the headlines. The firm's iPhone sales had been declining before the company decided to stop reporting unit sales beginning this year. But as Money Morning Chief Investment Strategist Keith Fitz-Gerald told readers in October 2017, Apple is no longer a device company. In fact, it hasn't been a device company for years. Its shift into services has helped boost investor confidence, and it just made a major announcement that will target firms like Netflix Inc. (NASDAQ: NFLX) and Hulu. Apple is one of our top five stocks to buy right now. For the full list, go here now. Shares of Stamps.com Inc. (NASDAQ: STMP) plunged more than 50% in pre-market hours after the shipping products company announced it was ending its exclusive partnership with the USPS. The company also said it expected a massive downturn in profitability. The firm's full-year guidance was set between $5.15 and $6.15. That is well below the $10.79 figure anticipated by analysts. During its earnings call last night, the firm's CEO said that USPS would not accept the terms of its partnership proposal. On Friday, look for earnings reports from AutoNation Inc. (NYSE: AN), Cabot Oil & Gas Corp. (NYSE: COG), Cinemark Holdings Inc. (NYSE: CNK), Magna International Inc. (NYSE: MGA), Royal Bank of Canada (NYSE: RY), and Wayfair Inc. (NYSE: W).